The worst thing that can happen to anyone in the cape town area is to come home after a hard day, where you have been looking forward to lazing on the sofa watching DSTV channels, you flick on the TV and tune into your favourite DSTV channel only to find that it is not working! Here are some quick tips on how to source what is the problem so that you can phone the right people to get your viewing pleasure back as quickly as possible. Tips to Sourcing the Problem: Check the TV itself first; perhaps you need to phone the person that attends to your TV repairs. The best way to do this is to tune into local TV stations and see if they are displaying the same way that you’re DSTV channels are displaying, if they are not displaying the same way, then you know that it is not your TV, however, if they are, then you need to get your TV repair man from Cape Multiview out! Next you need to check if it is your decoder, plug a spare decoder in and see if you’re DSTV channels are still displaying incorrectly, if they display correctly then you know you need to find someone who can do decoder repairs. If it’s not the decoder then it could be the satellite dish or the TV antenna. 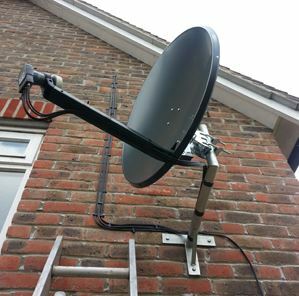 First unplug the TV aerial and see if your DSTV channels show correctly, if they do, then you need TV aerial repairs. If they don’t then you need satellite dish repairs. Getting Your DSTV Back: Now that you have located the problem, you can contact the correct professionals from Cape Multiview in the Cape Town area to handle your repairs, this way you are saving yourself time and money, as each repairman is going to charge you a call out fee. The only other solution would be to find a company like us, who have experts in each field. If we send one technician out and he sources the problem for you we do not charge the full amount for the second call out fee, that way we are able to service your needs and solve your problem as quickly as possible. The most common satellite problem in the Cape Town area is misalignment, so think about it for a moment, you want to go out and buy a brand new dish because you are having problems with your DSTV channels and you have found that it is the dish that is causing the problem. Instead of buying a new dish, contact a professional repairman to attend to your dish repairs and see if that solves your problem! 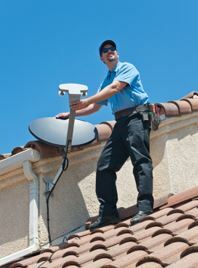 Cheaper options: Having to call out a dish repair man and letting him repair your satellite is a lot cheaper than having to buy a new one, but should there be bigger problems where the dish repairs are not able to be done on your premises, you might be without DSTV for a little longer, but it won’t cost as much as a new dish. Some people believe that having to have your decoder repaired in the Cape Town area would take longer than 24 hours! Although this is true for many companies, as they would require that you book your decoder into their technical department and they will contact you when they have news, we offer an on-site repair where we can. 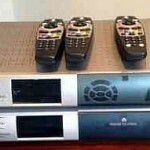 Easiest way to repair your decoder: When you know that it is your DSTV decoder that needs repairing, you simply contact us and we send out a technician from Cape Multiview, if he is able to fix the decoder on your premises he will do so and your decoder repairs will be completed, if he is not, then he will bring it back to the technical centre and give you a certain time frame as to when you will get your decoder back. Fast and efficient service! Home owners in Cape Town often take further precautions when it comes to their TV aerials because of the elements that are prone to causing signal disturbances, but there comes a time when your antenna actually needs the attention that only a professional repair man can give it. Does this mean that you have to buy a new aerial? Aerial repairs attended to quickly: When something breaks it is not always just a case of replace the time with a new version, although this is necessary at times, the majority of repairs are easily attended to by someone who has the experience and knowledge. 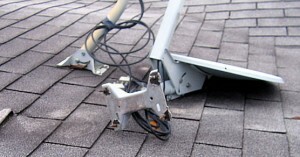 Before you rush out to buy a new antenna, get an expert in to repair your aerial! 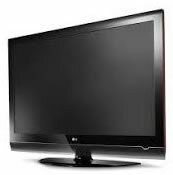 TV’s have definitely changed dramatically over the last few years, now you get plasma TV’s or LCD TV’s and HD TV’s, all of them require experts to attend to them when they need repair. The worst thing about having to have your TV repaired is that a lot of Tcompanies ask you to bring the TV in and leave it with them for a week or more! Easy TV repairs: The people in Cape Town know how important it is for you to have your TV, especially when you just want to relax after a hard day at work. That is why we have specialist TV repairmen from Cape Multiview who are able to handle almost any TV repair on your premises. For all your DSTv Repair & Troubleshooting enquiries, please contact Cape Multiview on 021 012 5380 today!